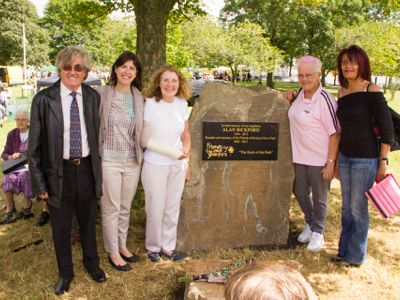 Another thank-you to Sarah Hawkins of ‘Incredible Edibles’ and the student volunteers from the University of Manchester, this time for re-planting a number of fruit trees in the park. 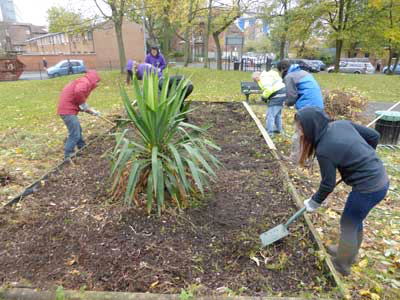 A big thank you to a team of student volunteers from the University of Manchester organised by ‘Incredible Edibles’, who spent a cold and rainy day working on the two raised beds in the park. 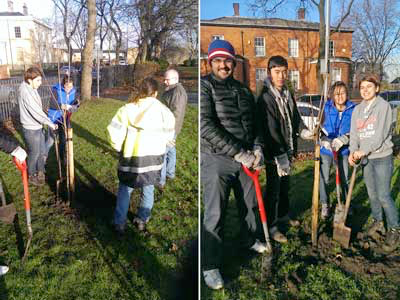 They replaced rotten timbers and cleared the beds which had got badly overgrown, ready for planting new shrubs and flowers. We look forward to seeing how they will look in the spring.